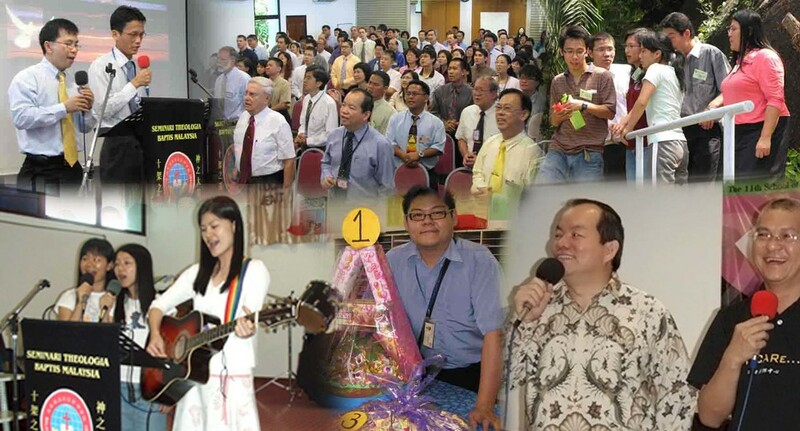 We are committed to meet the academic standards set by the Asia Theological Association. Certain number of classroom hours must be met for graduation. We require students to read, do research in the library, and do constructive thinking. We form faculty members and students into mentoring groups to give personal attention to the students' development. This activity is in addition to the required Formation Courses that emphasize faithful completion rather than grading. We pause for chapel in the midst of studies: for community worship, prayers, and fellowship. A healthy "spiritual climate" is deliberately cultivated and maintained in the seminary community. We require students to be involved in supervised weekend field education and practical projects with the aim that they discover their giftings or "polish up" their giftings. We form faculty members and students into teams for mission trips where all learn cooperation, mutual submission, and practical skills. The experiences in the mission fields will greatly help to mature the students spiritually. We set aside times for faculty and students to go on retreats, to work in teams for kitchen duties, and to attend conferences and seminars conducted by guest lecturers. We believe that theological training is best done in a community setting. Students do not learn only from textbooks but also from meaningful interpersonal relationships. Even when MBTS offers Distance Learning and Part-Time studies, it also seeks to provide group centered learning. MBTS encourages all Part-Time students to complete a certain number of courses on campus. It is a privilege to have the opportunity to come to one location and spend a season with others in theological studies. At MBTS, residential students are urged to use the God-given opportunity to cultivate the art of community building as they live, study, pray, serve, and play together. On campus, a wide range of community experiences can be expected as students come from different backgrounds in terms of age, educational experience, professional experience, and culture.